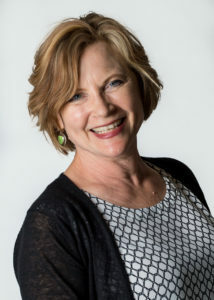 Commissioned by the Minnesota Sinfonia, “A Simple Melody” is part of the orchestra’s “Minnesota Composers’ Call for Scores,” supported by McKnight Foundation. Without the challenge of writing for the MN Sinfonia, A Simple Melody might still exist in an even simpler form, as a piece for string orchestra. This piece had a humble beginning and was born from an urge to create something that was unlike other pieces I had written. Most of the pieces I write for orchestra are conceptual first. I start with an over-arching idea or a vision and the subsequent content and the framework of the piece are built on and around this idea. With A Simple Melody, the melody itself was the driving force behind the music and there really wasn’t a concept—the piece wasn’t really aboutanything, but was simply a melody that stood by itself. When I took on the challenge of writing for the MN Sinfonia, I knew I wanted to use its fine wind players as well as its wonderful string sections. The introduction of winds added such depth to the piece. The shimmer of the flutes, the clear, penetrating sounds of the oboe, the warmth of the clarinet and bassoon, and the beautiful sound of the horn all added so much richness and texture to the sound. It felt like I was working on a painting and then discovered a whole new palette of colors with which to work. I am very grateful to Jay Fishman, the MN Sinfonia, and the McKnight Foundation for providing this opportunity. Henri Vieuxtemps was born in Verviers, Belgium, the son of an amateur violinist, violinmaker and weaver. He first studied with his father, showed immediate talent, and soon continued his studies with the respected local violin teacher, Lecloux-Dejonc. Henri played his first public concert at age six, performing a concerto by Pierre Rode, and at age seven, he went on a tour to surrounding towns and villages. He progressed rapidly, and soon was playing concerts throughout Europe, Russia and even the United States. In 1833, while performing in Germany, he met the great violinist and composer Louis Spohr and the famous composer Robert Schumann, the latter who compared him to Pagannini. Not only was Vieuxtemps known as a virtuoso violinist, but he also was known for his compositions. Most of his output was for the solo violin – he wrote seven concertos and several lighter, salon pieces, and late in his life he added three string quartets, 2 cello concertos and a viola sonata. Of his compositions, the fifth violin concerto remains his most popular, and is the work most often played on today’s concert stages. The Meditation is a solo piece for violin and orchestra that was created to be an entr’acte – a contemplative work that was to be played between the scenes of Act II of the Opera Thais. The opera, which is based on a novel by Anatole France, is religious in nature. It tackles one of religion’s greatest challenges – the “battle” between a life of luxury and hedonism versus a life of self-deprivation and eventual salvation. The plot takes place in fourth century Egypt, where Anthanael, a hermit monk who lives in the desert, tries and eventually succeeds in convincing Thais, a devotee of Venus, to abandon her luxurious life and find salvation in God. The plot is not as simplistic as it seems, as it has many complexities, much soul searching, contradictions and demonstrations of human frailties. The romantic French composer, Georges Bizet, is best known for his opera Carmen, and after that, a few other stage works. Early on, at age 17 he did compose a symphony, which is heard on this set of concerts, and later he even made attempts at a few others, which he never finished. Until recently, these efforts were but a footnote in his resume. 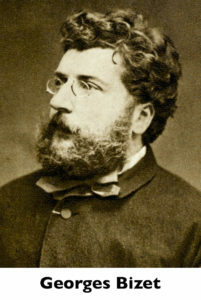 Bizet was a major talent of his time, and in 1857 he won the Prix de Rome. Established in 1803, and lasting into the 1960s, this was a highly coveted prize, awarded to the top composition students at the Paris Conservatory. The winner would receive a government pension for four years to study and compose in Rome, and in exchange the composer would create new works to be performed for the French public. Bizet’s stay in Rome proved to be very successful, and during that time, he readily and successfully fulfilled the obligations of his award. Georges Bizet was an excellent pianist, and when he was young he transcribed Gounod’s Symphony for piano. 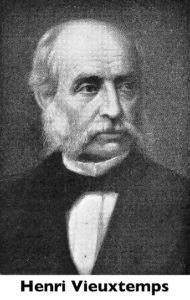 Soon thereafter he composed his Symphony in C, which most likely was modeled on Gounod’s work. The symphony was composed in just one month, and probably was never performed in Bizet’s lifetime. The score lay dormant in the Paris Conservatory’s library for sixty years after the composer’s death. It was eventually re-discovered, and received its first performance in February of 1935, in Basel, Switzerland, under the leadership of the famed conductor, Felix Weingartner. 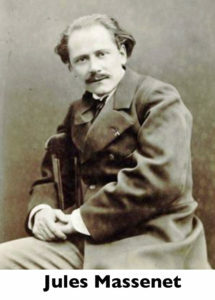 Since then, the Symphony has become a staple in the orchestral repertoire, and has enhanced Bizet’s reputation as one of the leading French composers of his time.